Hello, 39 Weeks! The bean's lease is officially up in 5 days! Part of me is so sad that I won't feel kicks and hiccups anymore, but a larger part of me is happy to not need help tying my shoes! I'm getting tons and tons of Braxton Hicks now (several every hour) and I'm up at night with random back contractions but none that are regular - which means baby might keep cooking even past the due date! Max and I were out and about this weekend, and we were asked lots of questions from strangers about how far along we were. It was so much fun to be able to just say "Friday!" 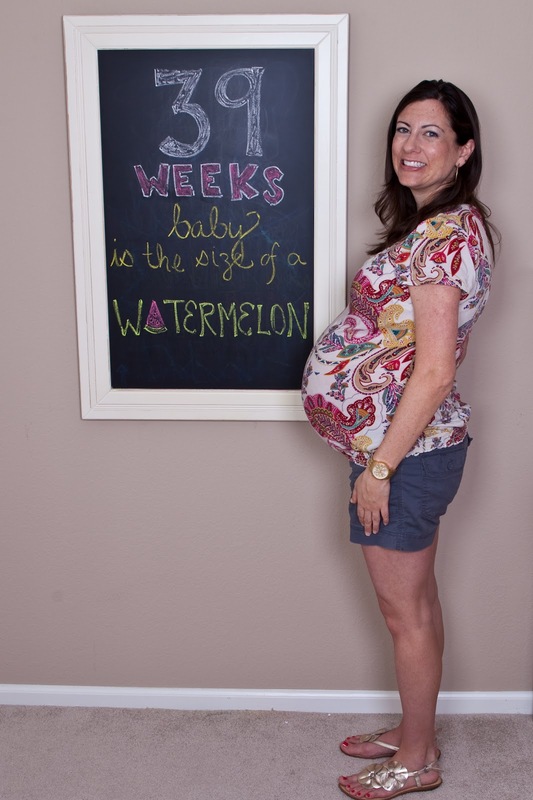 when asked about the due date! 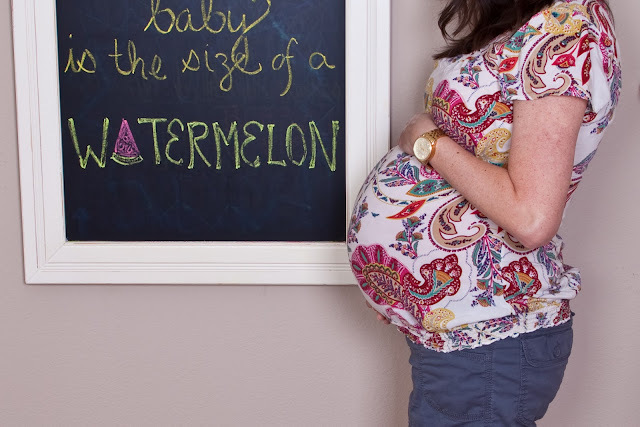 I can't believe our little watermelon will be here before the month is over!